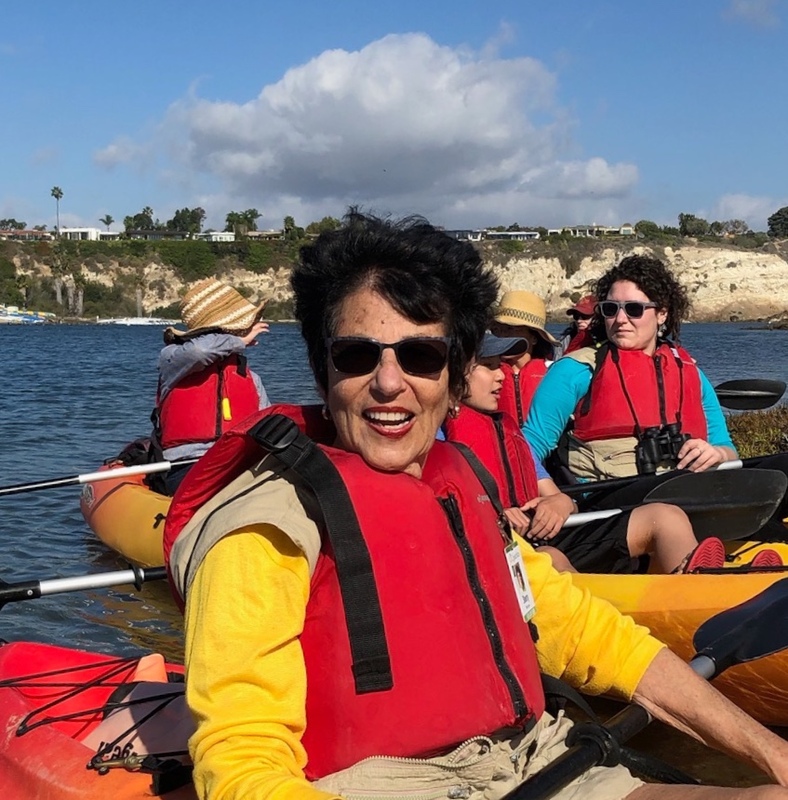 NBC’s Board volunteer their time and expertise thought the year to uphold the mission of the Newport Bay Conservancy and strategically directs the organization to fill that charge. Board Members are elected by our membership (volunteers who serve over 48 hours or more in the past year) each November at our annual meeting to serve two year terms and can be elected for a subsequent term. The Conservancy is always looking for passionate folks to sit on the Board. For more information on how you can become a Board Member, send us an email to info@newportbay.org. Board Meetings: Third Wednesday each month from 5:30-7:30 p.m. at the Peter and Mary Muth Interpretive Center. The Public is welcome to attend. Please give us a call at 949-923-2269 for detailed directions. Randall English heads up the IT operations at Schneider Electric. In addition to his IT responsibilities, he oversees the company’s philantropic endeavors. He has participated with employees from Schneider Electric on restoration activities in and around the Bay. Randall is an avid outdoorsman and brings a wealth of enthusiasm for environmental issues to the Board. Before acting as the 2018-2019 Board President, Randall has served as NBC’s Secretary and Vice President. Kimberly is the Founder and Managing Partner of a certified, woman-owned environmental law firm in Newport Beach California. She holds her Law degree from Stanford, MS in Civil Engineering and an undergraduate degree in Applied Earth Sciences. As part of her work, but also because of her own interest, Kimberly follows trends and emerging issues in the environmental field. The Back Bay is an important resource and she values and prioritizes restoring and protecting if for future generations of species and for our own well-being into the future. Kimberly’s background allows her to understand the issues that face the Back Bay. Being on the Board, she helps further the mission of the Conservancy and strengthen opportunities to educating our youth. 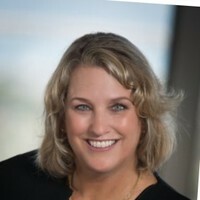 Pam Winkler is currently the Chief Operating Officer at Davis Partners for the past twenty years. As Chief Operating Officer, Pam oversees all accounting and client reporting, company administration and IT systems. She’s been a Volunteer Naturalist with Newport Bay Conservancy since 2009 and has volunteered many hours at the Peter and Mary Muth Center while aiding in the reconciliation the sales from the gift shop. She brings accounting experience to the Board as well as a keen interest in updating educational elements around the Bay. As Treasurer, Pam is chair of the Finance Committee and also sits on the Education Committee. 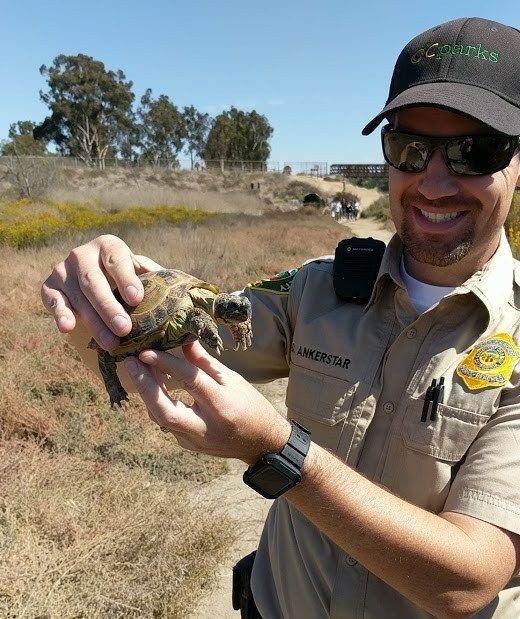 Derrick is one of the Orange County Parks Rangers assigned to the Peter and Mary Muth Center. He is a graduate of California State University, Long Beach. 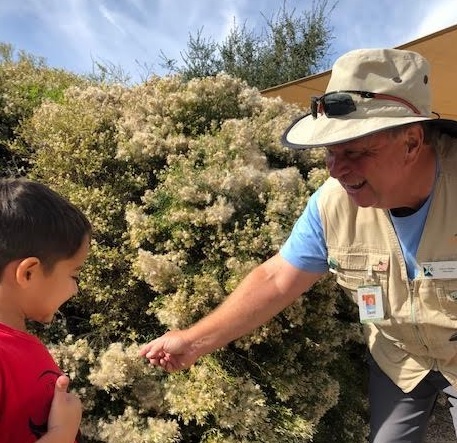 Derrick has been a full-time Park Ranger for the County of Orange since 2012 and served as a Reserve Ranger for OC Parks from 2010 until his appointment to full-time status in 2012. He is passionate about nature and its preservation and has maintained particular interest in the Newport Back Bay. For the past 28 years, Dr. Tim Brown has demonstrated his interest in civic leadership and commitment to the City of Newport Beach through a number of endeavors. Dr. Brown is currently as a Planning Commissioner for the City of Newport Beach. Prior to that Dr. Brown served on the Parks, Beaches and Recreation Commission for the city of Newport Beach for two terms beginning in 2006. Prior to his service on the Parks Beaches and Recreation Commission, Dr. Brown was a member of the Newport Beach Aviation Committee. Since 1999, Dr. Brown has been a resident member of the Newport Beach Chamber of Commerce, served Vocational Service Chair of the Newport Beach Sunrise Rotary Club. Dr. Brown has also been instrumental in the formation of the NPO which operates the Lobsterfest. At NBC, Tim chairs the Board Development and Education Committees. 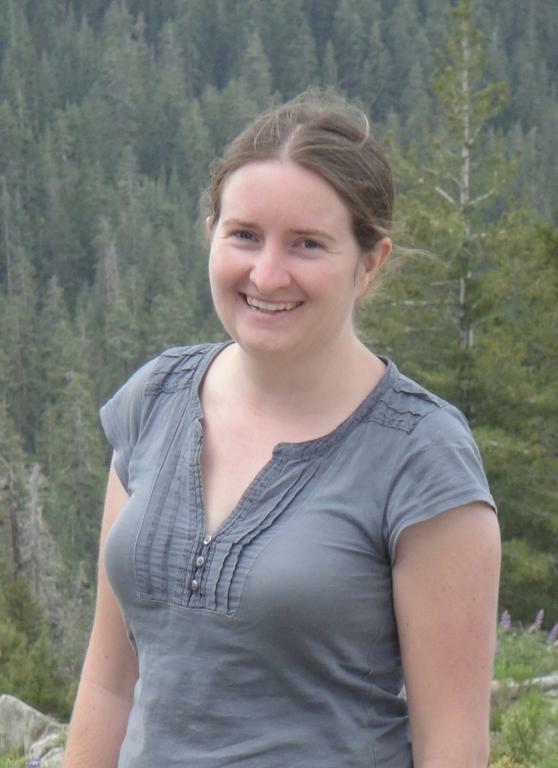 Julie is a Teaching Professor in the Department of Earth System Science at the University of California, Irvine. She holds a PhD in Earth Sciences from the University of Oxford. After moving to this area 10 years ago, she enjoys having good weather all year round to hike and enjoy the outdoors. Julie is interested in promoting educational opportunities in the Bay. She also aims to highlight the various research projects that are being carried out in the area, such as the spread of invasive species and the impacts of sea level rise. Sherry is an artist and a relative newcomer to the Upper Newport Bay area who found the scenery awe inspiring from an artistic perspective. She has a selfish ulterior motive to protect the area for artists, like herself and others who appreciate what the area has to offer. That is why she would like to help preserve the Back Bay and the surrounding neighborhoods. She is a concerned resident and utilizing information she has learned from her short tenure as a volunteer for NBC as well as the resources that are made available to all. She has become more aware of invasive and endangered species that are being addressed by the Conservancy and that need to be protected. Sherry has a special interest in the Big Canyon project since it effects her immediate neighborhood. Her other concerns are with the close proximity of the airport in regards to noise pollution as it effects the Back Bay and the airplane emissions that are being dispersed into the surrounding flora and fauna. 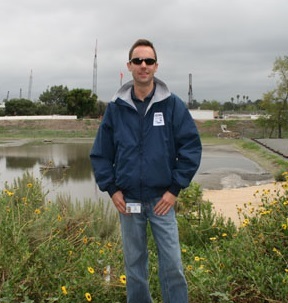 Ian is the Natural Resources Manager for the Irvine Ranch Water District. As the Senior Biologist, he oversees maintenance of the San Joaquin Marsh and all of the Natural Treatment System (NTS) sites. The San Joaquin Marsh encompasses more than 300 acres of coastal freshwater wetlands, half of which have been restored to a natural state. Ian also coordinates the District’s wetlands operation with state and federal regulatory agencies and coordinates with county vector control. Prior to IRWD, he was the Watershed Biologist at the Los Vaqueros Reservoir, a drinking water, recreational and educational facility owned by the Contra Costa Water District and he spent eight years as a natural areas supervisor with the Los Angeles County Department of Parks and Recreation. Additionally, he has traveled all over Central and South America hiking and studying insects. 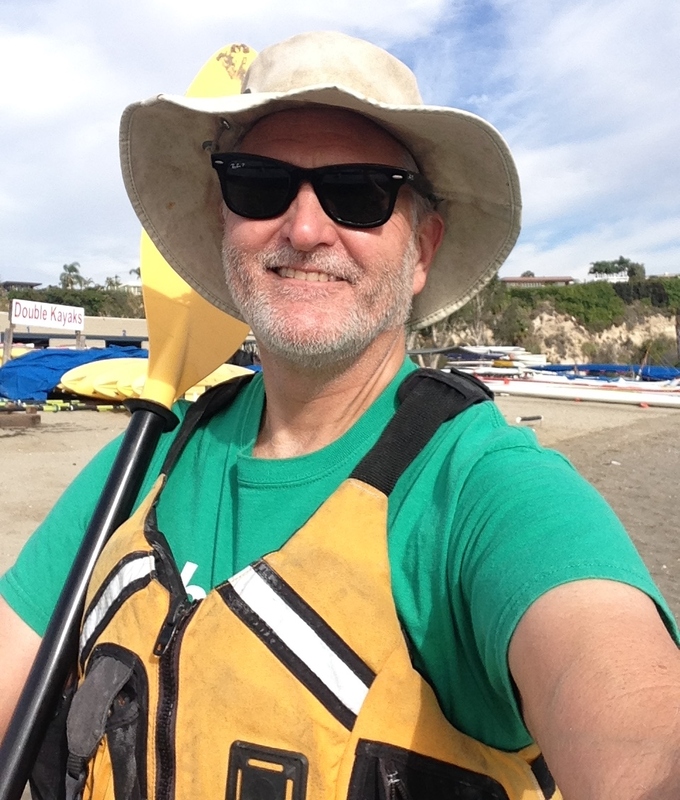 Ian will be responsible for keeping our Board and members informed on activities and events in the Newport Bay watershed that have impacts on the Bay. Taylor Sais holds a B.A. Environmental Science from UC Irvine and M.S. Environmental Studies from Cal State Fullerton. 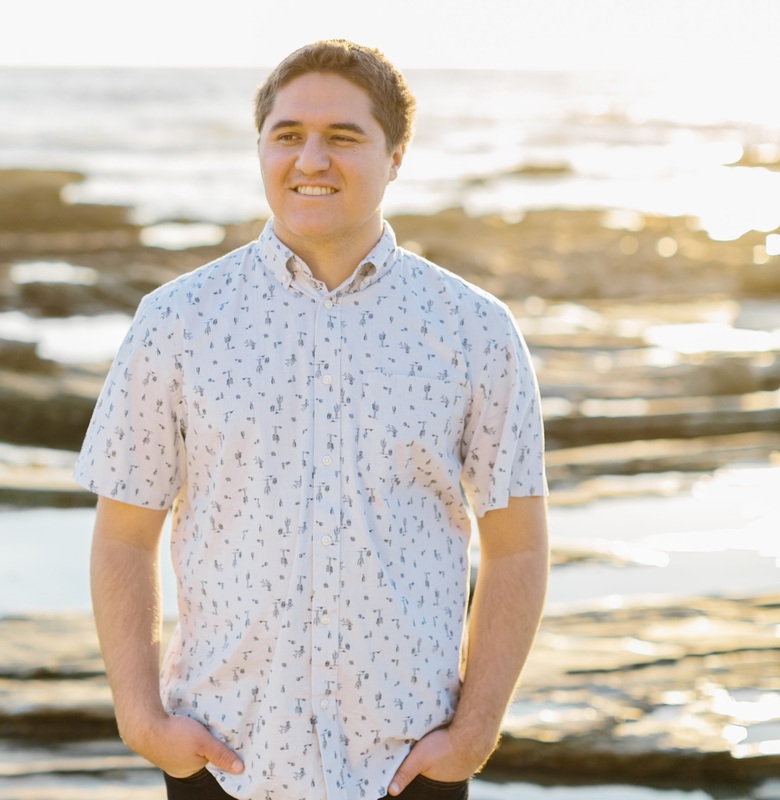 He is currently employed by Southern California Gas Company and works in environmental compliance along with managing the company’s sustainability programs. Taylor has participated in multiple Newport Back Bay clean-up events as well as assisted the NBC Research Committee on numerous projects. Taylor is chair of the Conservancy’s Advocacy Committee. Joana is currently a graduate student at the University of California, Irvine working on a Ph.D. in the field of Earth Science. She holds a M.S in Marine Studies from the University of Delaware and a B.S. from Federal University of Rio Grande in Brazil. She has taught at Long Beach City College and Orange Coast College in the area of oceanography. She has worked as the Community Education Coordinator and Curriculum Developer for the Amigos de Bolsa Chica in Huntington Beach. Joana is particularly keen on promoting strategies that promote water quality through integrated management practices and bottom-up approaches, such as Community Science programs and innovative public education and outreach projects. Angie is a local business woman, a Real estate broker who lives and plays in the Back Bay. She has a Masters degree in education from Emporium State University in Kansas. She has have 2 daughters, both here in Orange County and has 3 grand children. Angie has been a volunteer Naturalist since 2006. She and her husband are both passionate about nature and its preservation. Her husband served on the Banning Ranch Conservancy Board for 15 years. She has maintained particular interest in the Back Bay as a local home owner in Santa Ana Heights. She developed her interest in the area as a walker, jogger, biker and artist like herself and others who appreciate what the area has to offer. Dave is currently a volunteer Naturalist for the Conservancy and has helped with the planning of various fundraising events to support the Conservancy. Two of the most recent events were the golf tournament last year and the Conservancy’s 50th Anniversary celebration and dinner this past August. Dave loves what the Bay has given to him and would like to give something back to its protection and preservation. Peter Bryant’s interest and passion are in documenting, monitoring and preserving local biodiversity and ecosystems. He has been teaching Biodiversity and Conservation for 20 years at UCI, and now participates in the First-year Integrated Program in Environmental Science. Peter specializes in photographing invertebrates, especially the more difficult ones including the smallest insects as well as various marine and aquatic species. He has a Masters’ degree in Biochemistry and a Ph.D. in Genetics, and he is now participating in an international effort to catalog biodiversity using DNA-based methods. Besides serving as NBC’s President for the previous two years, he also established a Research Committee which has organized an Annual World Wetlands Day Symposium.